My computer desk at home is a mess I have so many cords running behind it for the hard drive, monitor, printer, desk lamp, camera, USB and the list goes on. I recently found Sumsonic 3 slot cable clips cord management system. These come in eight pieces with a unique triple slot to manage and organize cords (can securely stow three cables simultaneously). Slots can hold cables up to 5.5mm (2/9 inch) diameter but also provide easy access when you need to put cables in or plug out. Keep your cables in check within arm's reach and get your desk clean and organized. 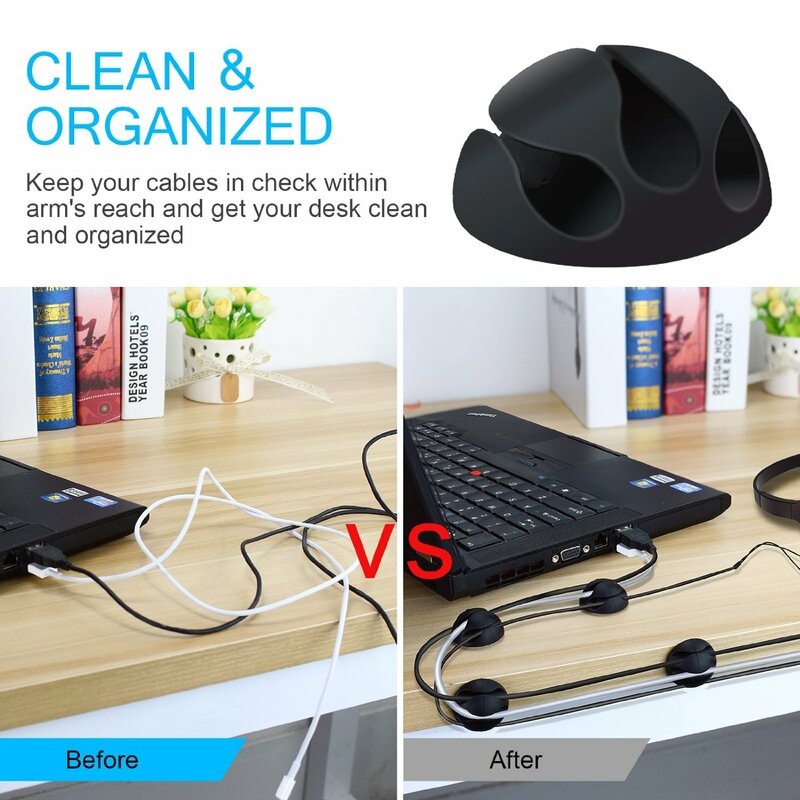 Never lose your cable on the floor or behind the desk as these have strong adhesive pads to adhere to any surface including desks, tables, walls, filing cabinets, furniture and more also when you want to remove it is easy without leaving a residue behind. These are eco-friendly, made with long lasting rubber and since they will be organized you will no longer have to look at them all the time. My Opinion: I like them and they are small so at times you really have to push the cord/cable right in and to take out requires some effort. They do work well at organizing my electronic cords. It seemed to stay better on metal and wood but not plywood desk material.